When staying at a deluxe hotel why not eat a fancy desert? 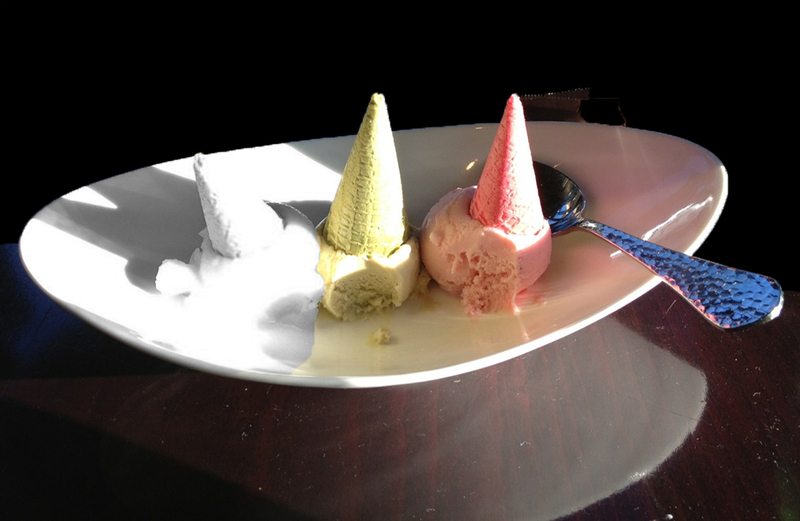 My choice this day was a trio of tiny sugar cones: lemon sorbet, green tea sherbet, and strawberry ice cream were capped with tiny matching cones. Yummy! And, nourishing. 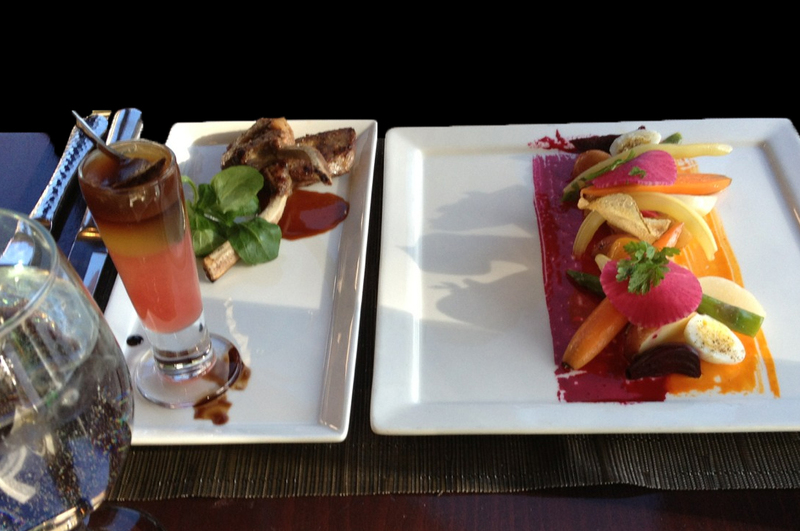 Starters: Two baby lamb chops with watermelon gelatin, boiled organic garden veggies. I chose two starters for my entrée; each was surprisingly tasty, even nourishing. Sparkling water, dinner rolls and butter completed the dinner. The table faced Squaw Creek and I could see the sun setting on Squaw Mountain in the distance, memorable. After dinner, an apple from the deli provided a little extra snack before bed. This entry was posted in Squaw Valley, Travel Blog and tagged Daily Prompt, iPhone, Photography, Postaweek, Travel, Vacation by carto. Bookmark the permalink.